This time around, we got the opportunity to review XSEED's latest title, Sumioni: Demon Arts, which might I add is a lot of fun to say. 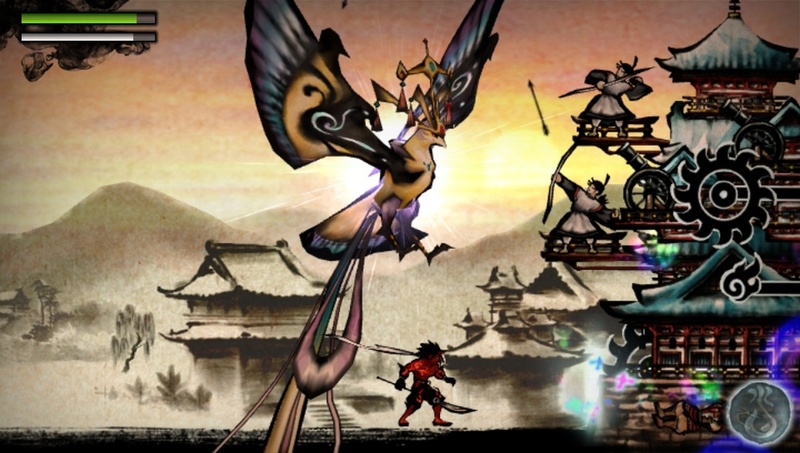 In Sumioni, you take on the role of Agura, not Asura, an ancient Inkdemon, where you will be hacking and slashing, both figuratively and literally through levels. 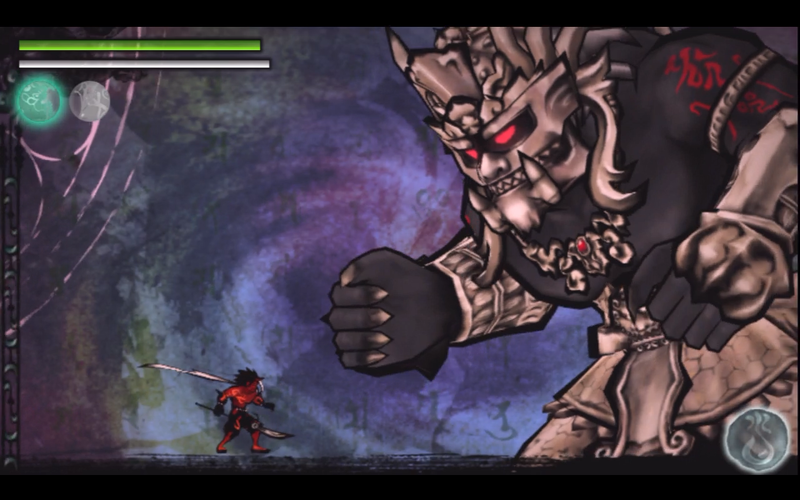 You utilize the front touch screen and multiple brushes to create platforms, wipe out enemy projectiles, and create elemental attacks to make your way through a number of quick levels and depending on how you rank in each level will determine the course of the game and the ending you are rewarded with. Now, onto the review of this download only, small in size (300 MB) action platformer. 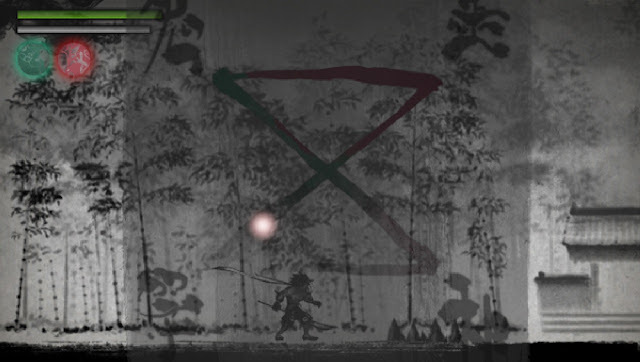 I have to start by saying I love the art style in Sumioni, in which I can only assume is how the title of the game came about, as the classical Japanese art style used is called "sumi-e", which also reminded me of Okami, another title with a great art style but was also enjoyable. I came for the art and stayed for the damn 3 star rating system that gets me every time. Also, the performance in level completion rewards you with one of multiple endings and additional levels. 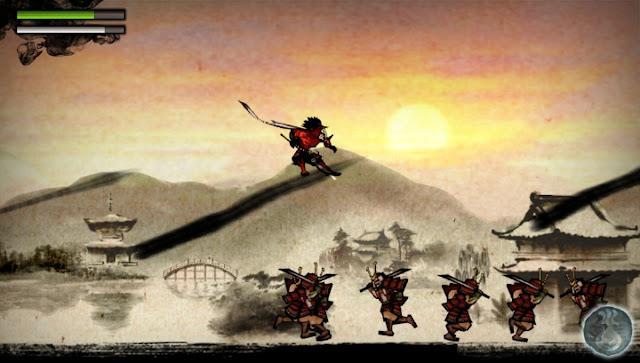 I was apprehensive at first about controls consisting of both touch screens and controller in a fast paced action title, but one playthrough in you grasp a technique that works and improves the story through skill. I did like that you have the opportunity to summon companions for when the obscure "bosses" have the upper hand. However at times, it seems like what this title has in potential is also what holds it back at times. I felt the developers didn't know who they were targeting, the action platformer fans or casual gamers, as the levels can be completed in a matter of minutes and took me a half hour to complete my first playthrough. Though it is very short, it immediately had me playing again and again, sometimes gathering more health and ink or uncharted levels for a better ending. Also, where this title excels in art style, it also lacks in variety of enemies, moves, and companions. So where do I stand on this? Easy, it would be less enjoyable at full price and this could be why it is a download only title with a forgiving price of $19.99. It is also the type of game you can play when limited on time with the short levels. I just always want more variety with each time I play, but that hasn't stopped me from putting it down.